No extra fees, so much included! 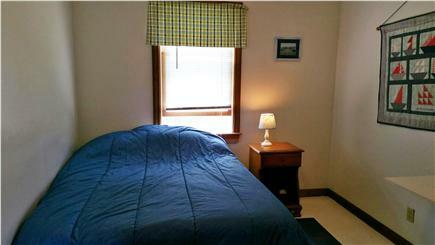 This home is a comfortable relaxing home that sleeps 10 and has all the amenities needed for a great vacation. 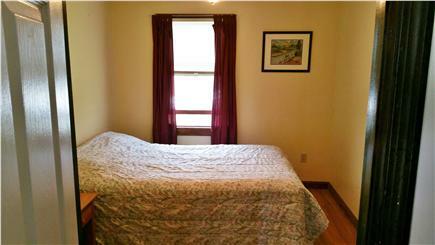 It is clean, properly equipped, and almost all on one floor. Shorter stays and off season possible on request. Please note, this is a family home and we only rent a few weeks a year - this has been our way before the tax law. The home offers four small bedrooms with one queen bed, 3 double beds, and a short, ceiling height loft via a circular staircase with 2 twin beds. There is a 28’ x 12’ room that has a slider leading to a 12’ x 28’ deck with a Weber grill, and a Sunsetter awning, table and chairs. The house has a 1 and a half bathrooms. There is a sitting area/living room, small dining room, full kitchen with 2 eating areas to fit a group of people, microwave, coffee-maker, and toaster. 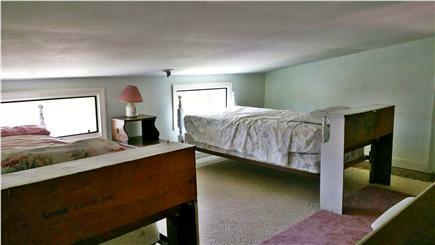 All of these rooms are on the same floor with the exception of the loft. There is an enclosed outside shower. The house has cable TV and internet. All bed linens are provided as well as bath towels, beach towels and beach chairs, gas for the grill, and most basic condiments are also provided. The house has two window A/C units. Main bath includes small top/bottom washer and dryer in newly renovated bathroom. This house is on a street looping along the beach front, 64 Bay View Rd (NOT Bayview Rd), in the Barnstable Harbor area inside of Sandy Neck. It is located about 300 feet from the water, and the entrance to the private beach is seen in pictures via a private access path. 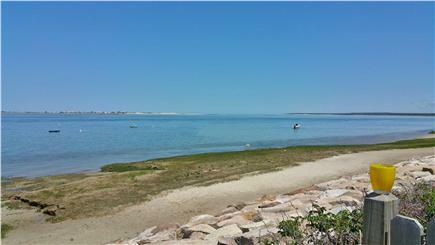 This offers wonderful swimming, access to wandering at low tide forever, then seeing the 9-12 foot tide come in. There is a boat launch nearby and safe overnight anchoring for boating, fishing and other activities. We also have a boat mooring(no dock) on the beach. Great, safe, kayak adventuring is available throughout Barnstable Harbor area. The Harbor itself offers whale watching, charter fishing, eco trips, fresh seafood and restaurants - all of this is a short walk from our house. Sandy Neck is only a short boat ride away and offers substantial fun for beachcombers or hanging at a 6 hour sandbar away from everything! Additional availability info: Friday checkin prime time, other times flexible. We rent only a 2 wks/year. Call for requests. Additional pricing info: Mid week pricing possible, State and local taxes of 14.45% will apply. Ramp accessible, but not to code (see pic) - Entrance to New renovated Bathroom not big enough for wheel chair. All one level. My family and my sister's family stayed at this house last week. It is so much bigger than it looks from the outside and we were able to spread out comfortably. 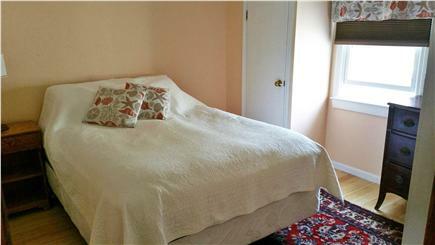 The house is clean and has all the towels, beach towels, beach stuff you could want. 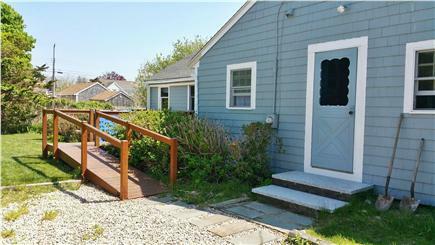 It is in a quiet neighborhood and the beach is just a minute away. We loved going down and whenever we wanted for a swim, a walk along the beach or to watch the beautiful sunsets. There are great restaurants within walking distance and we took a fantastic sunset whale watch right from the harbor nearby. This home has everything you need for the best vacation. 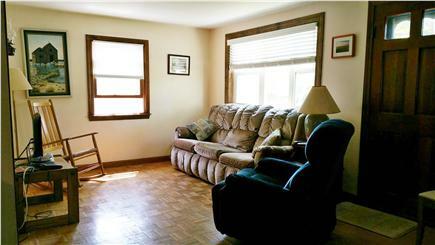 The house is clean, comfortable, and roomy with a great deck for grilling and chilling out. 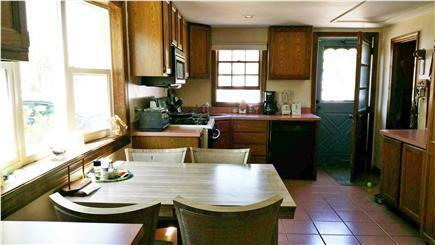 There are towels, an abundance of linens and pillows, beach chairs, a/c, and a well equipped kitchen for cooking. All we needed to bring with us was food and clothes. The beach is very close (a football field away) and is fantastic for swimming or lounging on the sand, especially at low tide, which was a family favorite. The sunsets from the beach are remarkable and beautiful. The home is located in a quiet neighborhood close to the marina offering whale watching, a fantastic eco-tour, and great food. 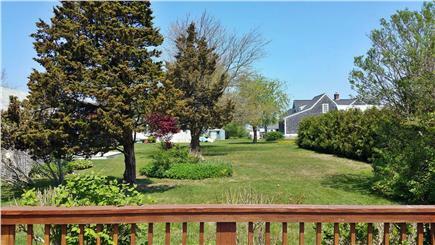 Barnstable Village is a short drive (or relaxing walk) away where you can find ice cream, shopping, and a great market. 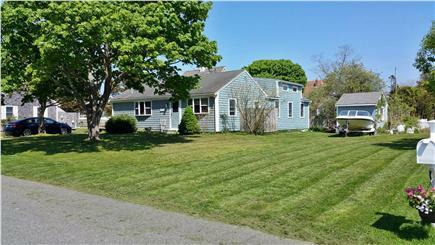 Hyannis is minutes away for mini-golf, candy, restaurants, more shopping, and more ice cream. I was going to visit my family in Massachusetts and decided to rent a house down the Cape for a week for us all to vacation. I live in Texas and located this property online and contacted the owner, Chris, for information. He got back to me right away and made the rental process smooth and easy, despite the great distance between us. The house was fantastic. It was clean and airy and had everything anyone could need for the week. We didn't bring anything but clothes and food. 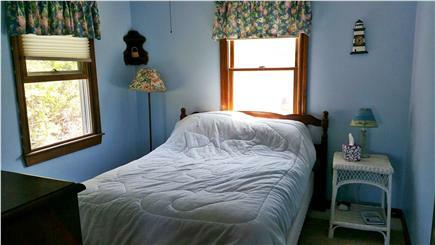 All linens were clean and abundant. The kitchen was well stocked for cooking and dining, and anything we forgot was available for us to use (condiments, coffee). The WiFi and close, easy beach access made for a great stay. The house came with beach towels, chairs and equipment for our use at the beach, which is great because that stuff would've taken up a lot of room in the car. We were a party of 8 and we all felt very comfortable in this house. There were even beds to spare. This is a great house for a large family or groups of couples because there are several bedrooms and numerous beds, which make for easy sleeping arrangements. I would highly recommend this house as a vacation rental because the owners are kind and generous, the house is clean and nice, and the beach access is fantastic. I genuinely hope to stay here again someday. We have had this in the family for over 50 years. We only rent it out a few weeks a year. Our parents have passed and we continue to enjoy this special place. 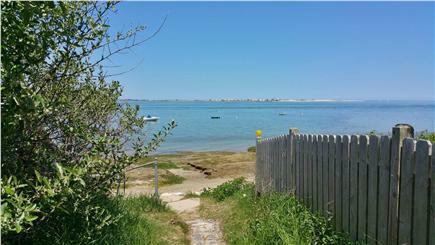 The sandy neck inlet has such a unique beach, boating and claming. The water in coming tides is about 10 degrees different, sometimes more - as the warm sand and flow of water allows this to happen. The protection of the Sandy neck peninsula saves us for harsh ocean effects - lots of kayaking spots, or boating fishing and clamming! It is what the cape is supposed to be! Not the over grown commercialized spots on other side. This is true cape vacationing - Great restaurants and activities without having to travel!